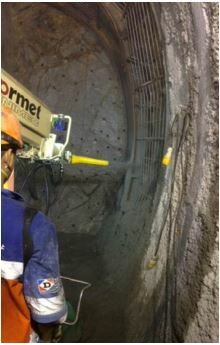 Normet UK completed works on the Crossrail C310 project. 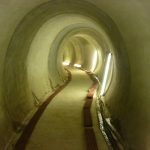 The contractor had been experiencing issues with inadequate early-age strength development of their sprayed concrete during construction of tunnel cross passages under the River Thames. The main issue was the application of sprayed concrete onto extremely wet chalk excavated surfaces with active water ingress through many fissures. The challenge was to meet the early strength requirement of “J2 modified” set by the Crossrail project which the contractor was not achieving with its original supplier and approach. Normet were called in by Hochtief-Murphy JV to attend site urgently to assist them with these early age strength issues and provide a solution to allow safe and effective rock support in the given wet conditions. 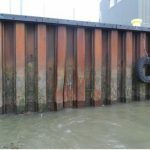 Normet had to mobilise quickly in order to help the contractor get back on schedule. Trials were organised within the same week contact was made. Normet were able to supply the contractor with two types of alkali-free set accelerator to test. Normet provided their standard TamShot 80AF product which was supplied to the majority of SCL contracts at Crossrail, but also a more powerful accelerator TamShot 100AF. In discussions with the Hochtief-Murphy JV team, the additional outcome to ensure improved performance was to switch to the Cemex dry silo mortar solution (DSM), as the Normet admixtures and cement type in the silo are also optimised for early age strength development, good open times and ease of pumping.